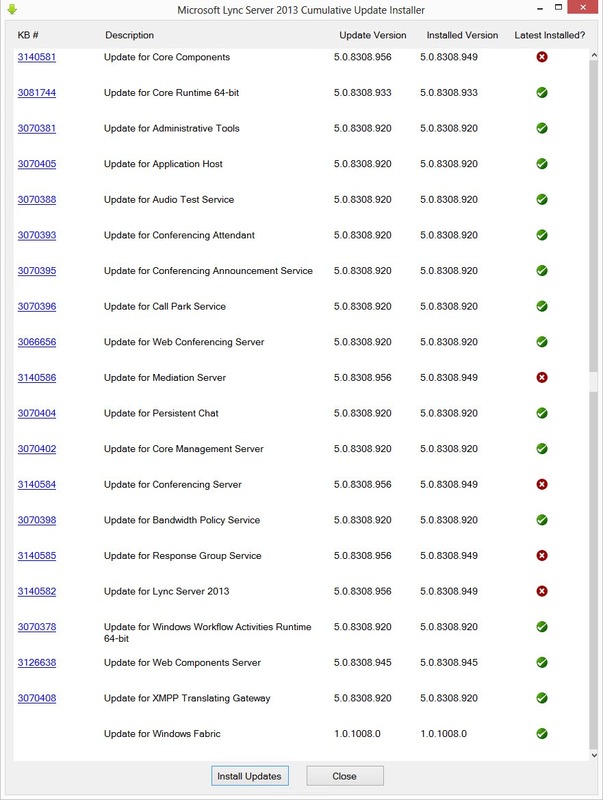 Curiously designated as an April update on the “Updates for Lync Server 2013” webpage, we now have a late-May 2016 update for the Lync 2013 server. This takes the five components that were patched last month to a “release 2.0” (or later) refresh and bumps them up from 5.0.8308.949 to 5.0.8308.956. There appears to be nothing fixed in this re-release. The posted “fixed in this release” details are unchanged from the April update. 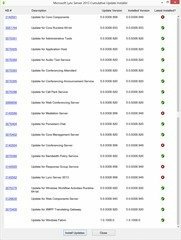 “To make the [new SLA] cmdlets available over Windows PowerShell Remote Management, run the Update-CsAdminRole command one time from a Lync Server Management Shell”. Yes, the process prompts you to reboot at its completion. 22nd May: This is the initial release.